Joseph Daly is the “Robins, Kaplan, Miller & Ciresi Distinguished Professor of Litigation Skills and International Dispute Resolution” at Hamline University School of Law in St. Paul, Minnesota. He was a Fulbright Scholar in ADR at the University of Montevideo, Uruguay for three years. Before becoming a law professor he was a trial lawyer and a partner in a Minneapolis law firm. His interest in alternative methods to resolve conflict developed when he saw the pain, anguish and cost involved in the entire litigation process. While he understands that sometimes litigation is absolutely necessary, he can still hear one of his clients cry out after “winning” a case in court, “There has to be a better way!” Professor Daly looks for that better way to resolve conflicts by understanding that negotiation, mediation and arbitration can be highly effective, efficient and affordable alternative dispute resolution methods when done in the correct way. His work with ValueSolveADR reflects his desire to provide highly professional, effective and affordable ADR services to the middle-class person. He is a highly respected practitioner and teacher and a sought-after mediator and arbitrator in commercial, labor, employment, personal injury and insurance disputes. He has arbitrated and mediated more than 800 cases. He is Director of the Mediation Clinic at Hamline University School of Law. Professor Daly has written books and many articles on ADR. He is an arbitrator for the United States Federal Mediation and Conciliation Service (Washington, DC), a commercial arbitrator for the American Arbitration Association, and an arbitrator for State of Minnesota Bureau of Mediation Services and a number of other states including Oregon, Wisconsin, Hawaii and the Virgin Islands. He is a Rule 114 qualified mediator and arbitrator. Professor Daly is listed in Super Lawyers and Leading American Attorneys as one of the best ADR practitioners. He is a frequent lecturer on “ADR: Negotiation, Mediation and Arbitration” topics in the United States and in countries such as Albania, Hungary, Poland, Azerbaijan, Thailand, Vietnam, Malaysia, Fiji, The Philippines, China, Australia, Norway, England, France, Uruguay, Argentina, Kenya, Cameroon and others. More than 100 of his labor arbitration decisions are published by the Bureau of National Affairs in Labor Arbitration Reports chosen because his opinions set “forth his … reasoning in a manner that can be clearly understood by persons other than the parties.” (Bureau of National Affairs Policy on Arbitration Awards Selection). Since 1974 is an often-selected arbitrator and mediator by judges, lawyers and parties, nationally and internationally. 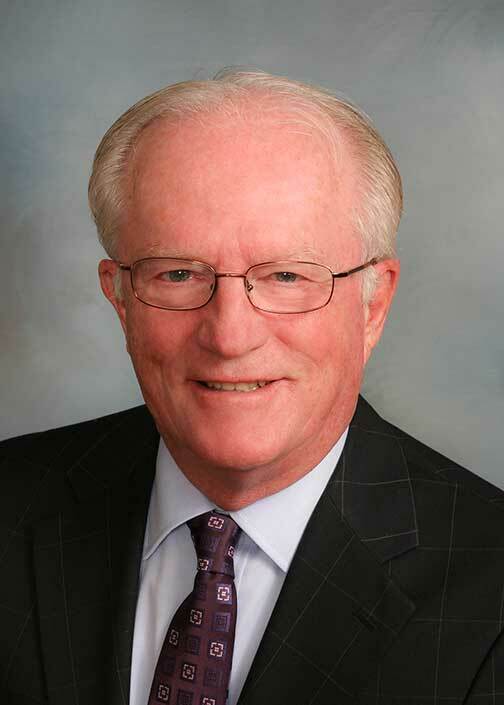 Professor Daly has mediated and arbitrated many types of disputes including: commercial, labor, insurance, equities, water line, condominium, business, international, trade, consumer, educational, automotive, food, and airlines, among others. He is a permanent arbitrator for the Federal Aviation Administration and Social Security Agencies. He has arbitrated many cases for the City of Los Angeles and for the State of Oregon. He is a permanent arbitrator for the United States Federal Mediation and Conciliation Service. He is a permanent arbitrator for the State of Minnesota Bureau of Mediation Services. He is chosen often as a qualified mediator and arbitrator by judges in Minnesota to mediate and arbitrate disputes under Rule 114, the Alternative Dispute Resolution Rule of the Minnesota District Courts. He has tried cases in State and Federal courts. And has argued cases in the Minnesota Court of Appeals, the Minnesota Supreme Court, and has represented the Amish in the US Supreme Court. Arbitrator for a number of Agencies — US Federal Mediation and Conciliation Service (Labor); American Arbitration Association (Labor, Commercial, No-Fault Insurance); State of Minnesota Bureau of Mediation Services (Labor); Qualified Mediator and Arbitrator under Rule 114 of the Minnesota General Rules of Practice — District Courts; State of Oregon; State of Iowa; State of Wisconsin; State of Pennsylvania; City of Los Angeles; State of Hawaii; Virgin Islands; and others. Mediation — Mediates cases before the Equal Employment Opportunity Commission, the State of Minnesota Department of Human Rights, the City of Minneapolis Civil Rights Department, and court appointed mediation cases under Rule 114. Legal Experience — Arbitration Law, Mediation Law, Labor Law, Employment Law, Education Law, Personal Injury Law, Contract Law, Criminal Law, International Law, Constitutional Law, Business Law, Litigation Law, Legal Ethics Law. Taught an intensive week long course November 3-7, 2014 entitled “Resolving International Commercial Disputes by Arbitration” to law students at the University of Montevideo, Uruguay. Taught “Effective Advocacy” the the young lawyers at the Ferrere law Firm, the largest law firm in Uruguay on November 3, 4 & 5, 2014. On November 22, 2014, appeared on the Esme Murphy WCCO- TV Sunday morning news show discussing the Adrian Peterson appeal of his suspension from the Minnesota Vikings. Discussed the Disciplinary process in the NFL Players Contract.